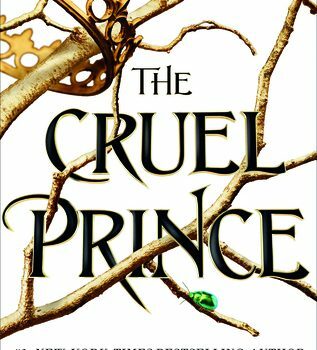 The Cruel Prince, Holly Black (Little, Brown 978-0-316-31027-7, $18.99, 371pp, hc) Janu­ary 2018. Immersing oneself in the writing of author Holly Black, readers quickly discern that her formula is to create intricate, tricky, heart-stopping plots in which her characters will end up running for their lives across brilliantly invented landscapes, while also cementing and/or blowing up friendships and possibly falling in love (or at the very least engaging in some pas­sionate flirtation) along the way. Black’s fantasies are always deep and rich and thought provoking. 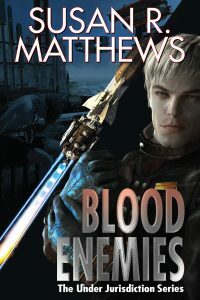 They are complex in the way that world-building should be, but also in their human interactions and in the politics of how people live and make war and die. Black writes for teenagers (who are damn lucky to have her), but, honestly, her work is the stuff of dreams for adults as well. 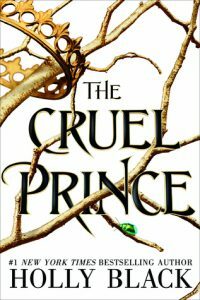 The Cruel Prince is her latest, and I am supposed to review it in a manner that will explain why I think this book is well written and why I think you should read it. 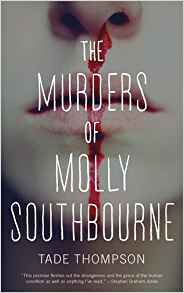 But all I want to do is write that this is the best kind of Holly Black novel and leave it at that because, for so many readers, that will be more than enough. The Cruel Prince opens with the bang of a thriller. Three sisters are sitting at home minding their own business in a totally boring suburban kind of way and then, with no advance warning, their lives are completely destroyed. In a flash they lose their parents in a thoroughly brutal fash­ion and are transported against their will to faerie. Very nearly everything about their childhoods they thought was true turns out to be a lie and they have to learn all new ways to navigate every aspect of their lives. The easiest thing would be to disappear into the new faerie rules and become who everyone expects them to be, act as everyone expects them to act. But in the midst of the major political machinations that propel the plot of The Cruel Prince is the story of how protagonist Jude decides not to do all the things everyone expects. 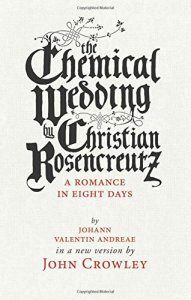 Jude decides to be the kind of mortal in faerie that we never read about; she decides to be angry and crafty and more than a little dangerous, especially to herself. Jude decides to challenge the very notion of life in faerie, which, as her twin sister makes clear in a discussion of fairy tales, can be a very scary thing. Of course, Taryn is right about stories. Bad things happen to those princesses. They are pricked with thorns, poisoned by apples, married to their own fathers. They have their hands cut off and their brothers turned into swans, their lovers chopped up and planted in basil pots. They vomit up diamonds. When they walk, it feels as though they’re walking on knives. Jude’s choice to stand up to faerie bullying, to the immortal entitled teens who surround and threaten and know all the tricks to dominate and control mortals and want to use those tricks to make her life (and Taryn’s) a living hell, is a huge risk. What Black does so well is make this very personal risk to Jude just as significant as the risk that envelopes the entire kingdom when the old king fades and turmoil engulfs his succession. Princesses, especially mortal ones, are usually lost in the swirl of bigger stories, used up and cast aside equally by their fictional counterparts and literary creators. But Black’s masterful rewrite of the fairy tale script is so deft, so cunning, that Jude’s accomplishments, her relationships, her every slash and spin are not only believable but revelatory. The Cruel Prince is, quite simply, the most Holly Black of all Holly Black’s works to date. It sparkles with a brilliance that belongs only to this author, and I cannot wait for the sequel.